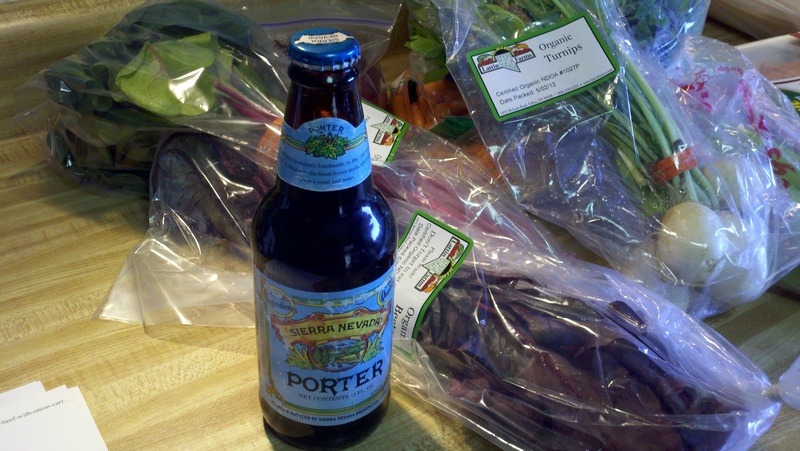 My new blog friend over at http://inherchucks.com/ suggested the beef and chard recipes. Great tips and a very friendly blog. Gathering the ingredients … thankfully, there is no shortage of beer at our house. The beer braised beef was pretty simple to get going. 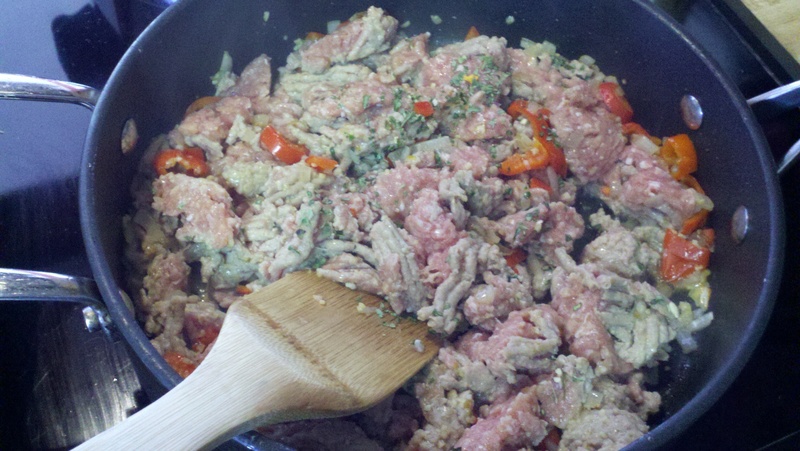 This is the ground turkey and fixin’s for the stuffed chard. It smelled soooo good. 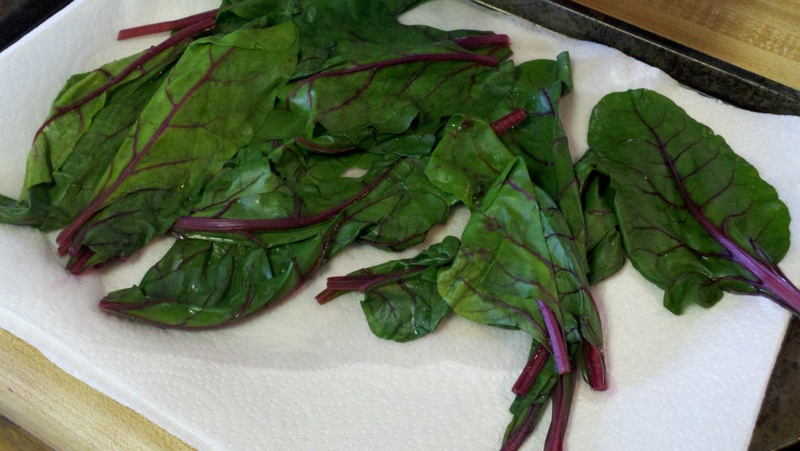 The chard is par-boiled and draining. I’m hoping for the best at this point. 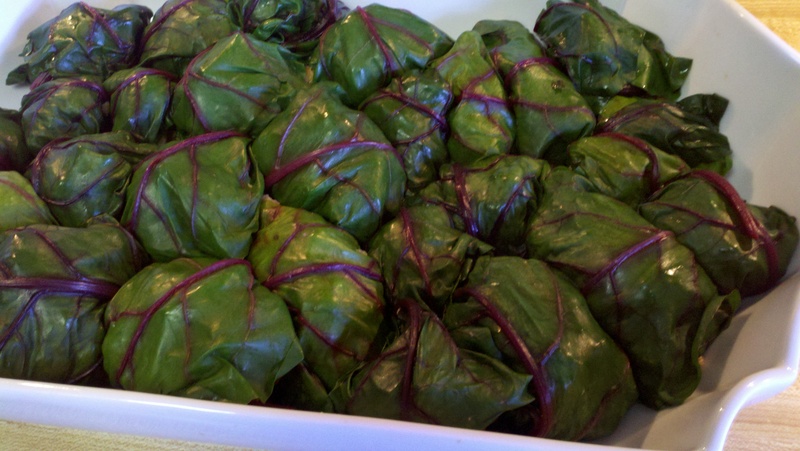 It wasn’t easy to stuff and roll these bad boys up, but it wasn’t too hard. The reward will be seen later this week. Yum. Oh, my buttery creamy goodness. 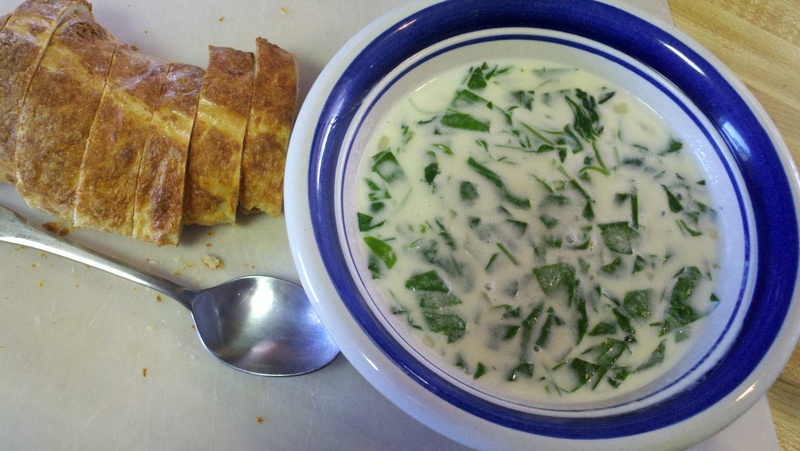 Popeye would love this spinach soup. Nom. 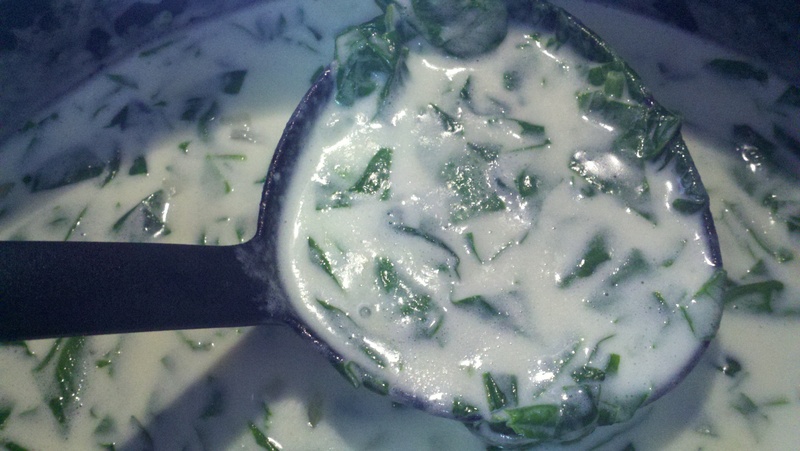 One more shot of the soup. I snarfed it up with chunks of cheesy, hearty sourdough bread. Reward for all of the standing around in the kitchen when it was actually a nice day outside.